The warm spring air in California seems to be bringing out the garden interest in the general public. 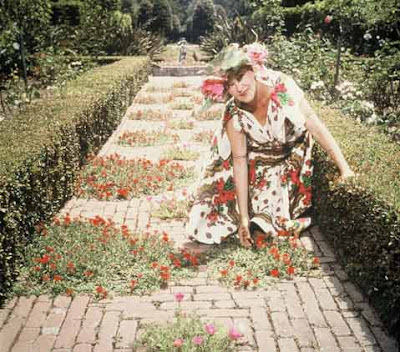 The Santa Barbara Independent had a wonderful article on the public and private gardens in the area and had a blurb and this photo of Madame Ganna Walska, visionary behind Lotusland. I love that path she is working on and she looks happy at her labour of love.